Discount available! Recommend Banana to Alligator Cable to your friends and get your Discount. 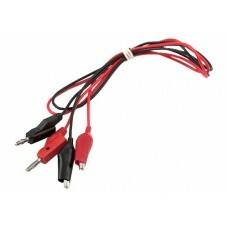 Cables come in red/black pairs with a banana plug on one side and a crocodile on the other. Each banana plug has a rear socket for plugging another banana plug.